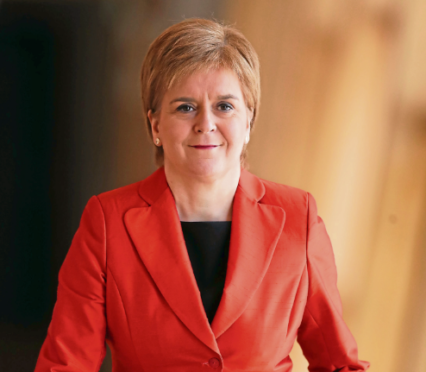 Scotland’s First Minister, Nicola Sturgeon, has been urged to make a firm commitment to investing in the NHS in the north-east of Scotland following problems with the service. The downgrading of maternity services in Elgin, concerns over the future of Ugie Hospital in Peterhead, and an ongoing GP shortage in rural areas are issues that have been highlighted in recent years. A report to NHS Grampian’s board last week also showed that the health board will need to make £70million worth of savings in the next four years. Now, with £2bn of UK Government spending being ringfenced for NHS services in Scotland, Mrs Sturgeon has been urged to spend some of that money to solve problems in the north-east. The First Minister is expected in Aberdeenshire today for the Turriff Show and David Duguid, Scottish Conservative MP for Banff and Buchan, has called on her to use some of that funding in the region. He said: “While the SNP obsess about the timing of the next referendum on independence, most people in Aberdeenshire are more concerned about our NHS, our schools and the local economy. “The UK Government has made a welcome announcement of £20bn a year extra for the NHS by 2024, but this commitment must be matched by the SNP north of the border. With campaigners in Elgin battling plans to downgrade maternity services at Dr Gray’s Hospital, the ongoing GP crisis in rural areas and the uncertain future of Ugie Hospital, Mr Duguid wants NHS Grampian to receive more funding. He added: “NHS Grampian will receive the lowest funding per head of population anywhere in Scotland this year, and will still have to make cuts worth £70milllion in the next four years. “There are major problems in Elgin with the downgrading of maternity services at Dr Gray’s, in Peterhead, we have Ugie Hospital under threat of closure and there is an ongoing shortage of GPs.